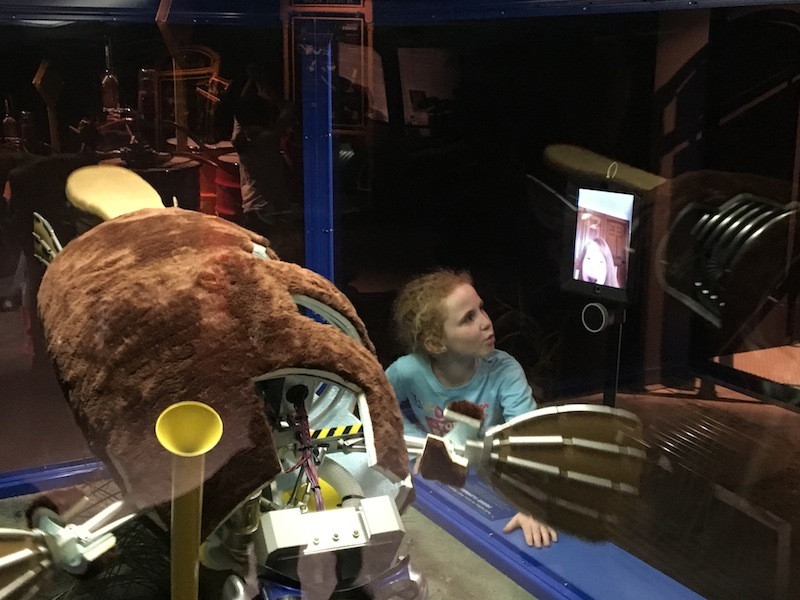 What does a seven-year-old do when her entire first-grade class is going on an exciting field trip to the Portland Science Center and she has to stay home? If her name is Sophia Houle, she sends her trusty robot instead. 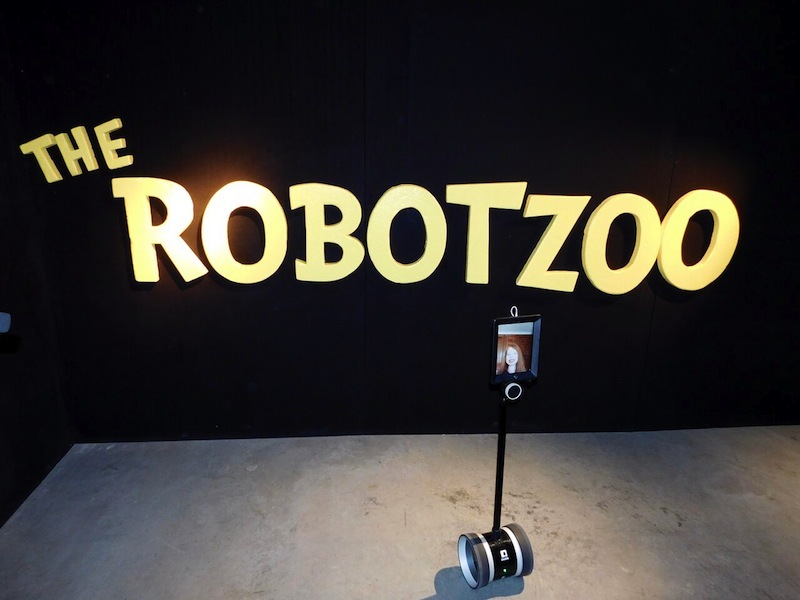 To see The Robot Zoo. 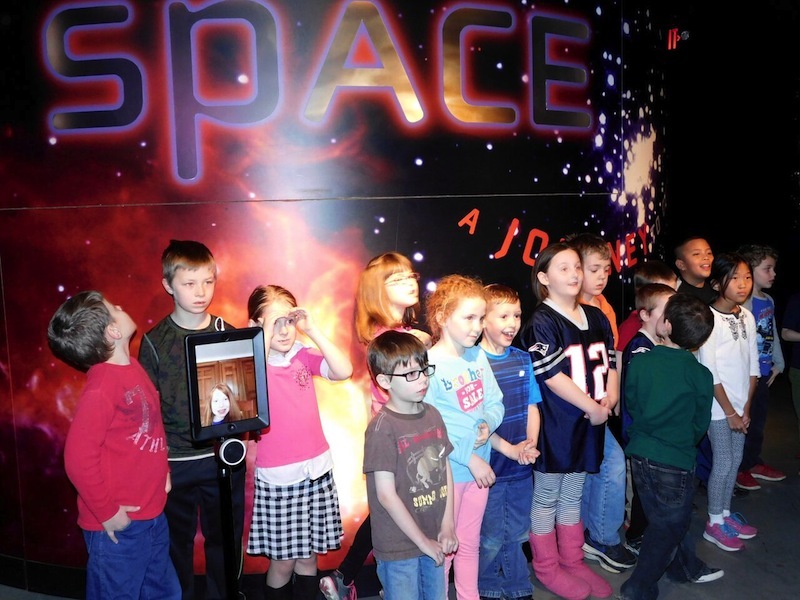 Can you find Sophia’s robot in the group photo? Hint: It doesn’t have arms and legs. So … why does Sophia need a robot? And how did she get one? Well, except for a weekly dance class and some sports, she’s pretty much housebound and has been since she started first grade. She was born with a liver condition called biliary atresia and had a liver transplant when she was 10 months old. She had a bit of rejection at two and a half but had been doing well with her new liver ever since. At first, her parents thought about homeschooling, but it’s a busy family. Sophia has three siblings — one’s in school but the other two (four months and two years) are still at home. Homeschooling would have been a big challenge. They were also worried about her being isolated and away from her friends. That’s where Snowball rolls in. The guidance counselor at Sophia’s school — Carl J. Lamb in Springvale — told Angela about a Maine-based non-profit organization called Grahamtastic Connections. 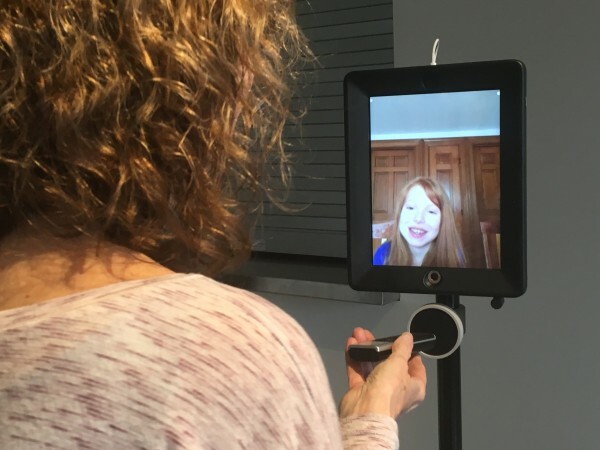 It provides free laptops with webcams for sick kids. Over the past 18 years, Leslie has gone from one ginormous computer and dial-up Internet to several laptops and iPads and high-speed connections. 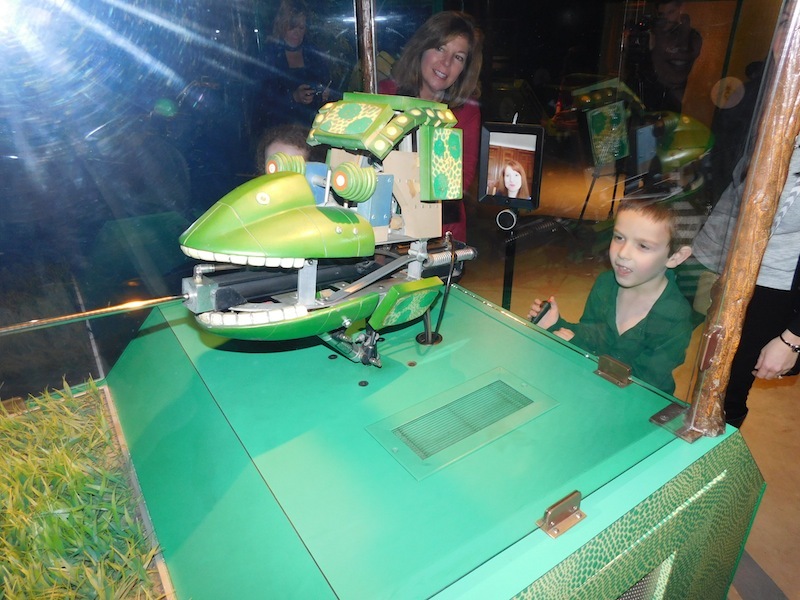 In 2012, thanks to Prime Motor Group, she got her first robot. Snowball is number eight, a gift from Town Square Reality in Sanford. Every single robot is in use in Maine and just over the border in New Hampshire. They are allowing children like Sophia to continue going to school and staying connected to the outside world. Grahamtastic relies on the generosity of individuals and businesses to buy all of its equipment. Just this week, Moody’s Collision Center in Gorham is buying a ninth robot. They cost about $3500. Here I am at the Science Center interviewing Sophia, who is at home with her mother. As usual, she used her iPad to control her robot’s movements. 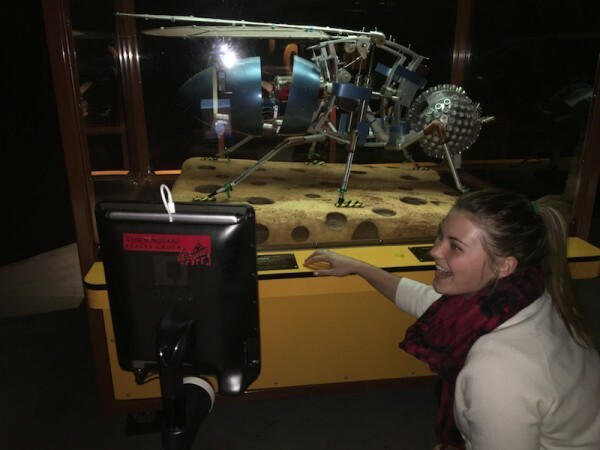 It’s how she moved Snowball (and herself) throughout the Science Center. It’s also how she gets around the classroom. The woman in the above picture is Kim Caron, who is describing one of the robots at the exhibit to Sophia. She’s a retired teacher who happened to be Graham’s third-grade teacher. She’s now on the Grahamtastic board and also volunteers her time to tutor Sophia two days a week. She says Sophia maneuvers the robot flawlessly. I have to say it. She is one wicked cute little girl! Want to learn more about Grahamtastic? Here’s the link. Want to learn more about the Portland Science Center? Here’s that link. I highly recommend them both. Sherry Turkle down at MIT would be fascinated with this, if she doesn’t already know about it. Do you know her? Would you send her the link?